qBittorrent is an alternative of µtorrent, It also has ability to run cross plateform like (Linux, Mac OS X, Windows, OS/2, FreeBSD). qBittorrent is based on Qt4 toolkit and libtorrent-rasterbar. qBittorrent v4.0.3 has been released on Dec 17, 2017. Click here to read more about changes in this release. 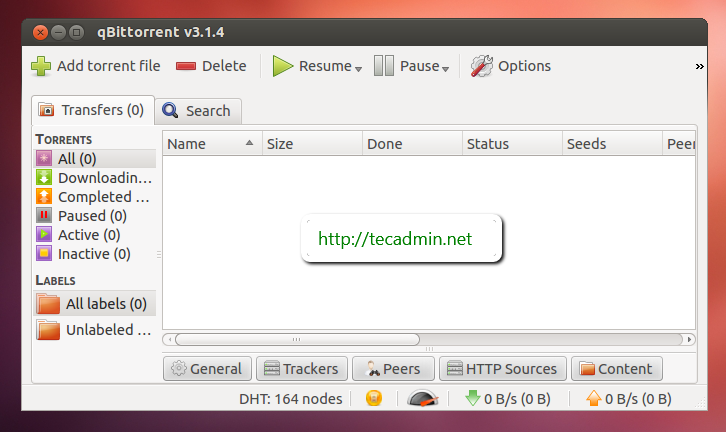 this how to guide will help you to install qBittorrent on Ubuntu systems. qBittorrent is already available in official Ubuntu repositories since v9.04 “Jaunty”. To install latest published on qBittorrent PPAs, use the following commands. We can use GUI option to start qBitTorrent or use the following command to start.